Everyone said they were too young to love. 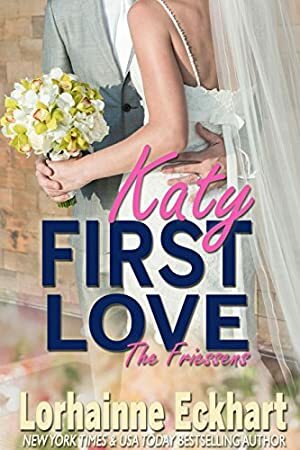 Katy and Steven have planned out their happily ever after: marriage, family, and a place of their own. A simple life in a small town with big dreams, just like Katy's parents, Brad and Emily. However, life's hardships soon threaten the future Steven and Katy have planned together. Did you miss the other books in this big family romance series? Start with the worldwide bestseller THE FORGOTTEN CHILD translated in German & French. Track It. This book reaches $0.99 about 3 times a year. We started tracking this book on September 2, 2016. The price of this book has changed 22 times in the past 960 days. The current price of this book is $3.03 last checked one day ago. This book has been $0.99 8 times since we started tracking it. The highest price to date was $3.99 last reached on September 2, 2016. We last verified the price of this book about one day ago. At that time, the price was $3.03. This price is subject to change. The price displayed on the Amazon.com website at the time of purchase is the price you will pay for this book. Please confirm the price before making any purchases.